Heightened focus on the “illegal immigrant” suggests that persons without status constitute a new phenomenon, but the issue of authorization to enter and remain in the United States stretches back to the end of the nineteenth century. One agency working with Ellis Island-era immigrants in danger of deportation was the Saint Raphael Society for the Protection of Italian Immigrants. 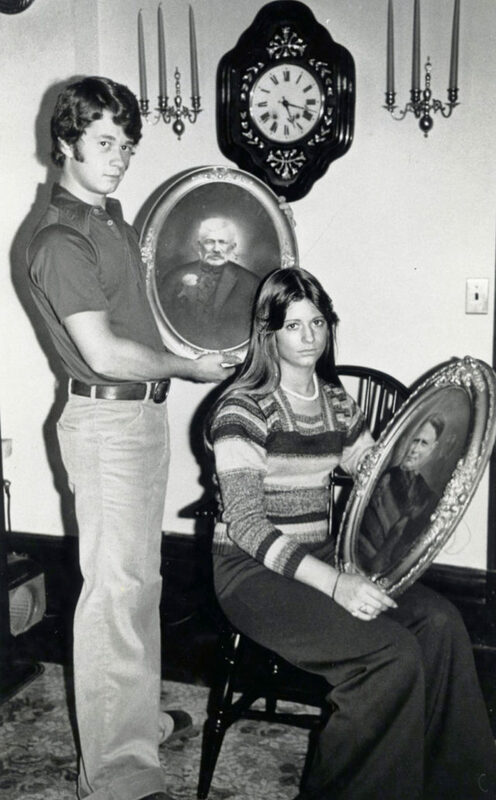 The Center for Migration Studies (CMS) archive contains the Society’s records, which includes stories and photographs of persons in danger of deportation. A significant point in the development of the idea of a “legal immigrant” came in 1882, when Congress passed two laws. The infamous Chinese Exclusion Act outlawed most migration from China. A second law that applied to all immigrants forbade the immigration of those likely to become a public charge. That law had the potential to stop all women at the border since women earned only half what men did in those days, and immigration agents knew that women could not support themselves on their meager incomes. The authorities tended to admit Irish immigrant women, because most of them were seeking domestic-service positions in which they would receive room and board as part of their compensation. However, they looked askance at Italian women, who claimed to be joining husbands, or, even more suspiciously, fiancés. The Saint Raphael Society regularly received young women whose fiancés had allegedly missed the boat. 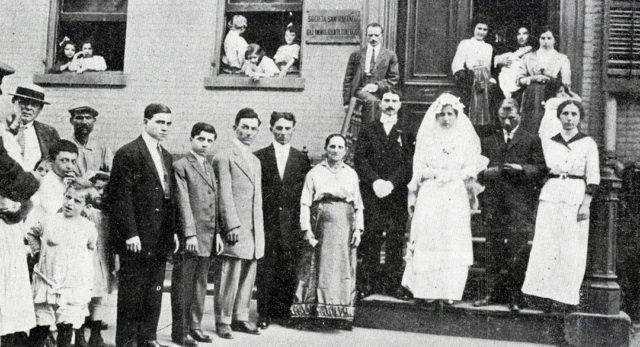 The Society’s chaplain and executive director, Father Gaspare Moretto, and his agents offered food and lodging to the young women, helped to locate fiancés, explained the paperwork necessary to marry in New York State, and sent the couples to get marriage licenses. The Society also furnished a chapel for weddings, a priest, and a congregation drawn from the nuns that staffed a hospice. Just as a modern migrant may become unauthorized by overstaying a tourist visa, an immigrant could leave Ellis Island, later become a public charge (for example, when a wife was widowed) and become an unauthorized immigrant subject to deportation. 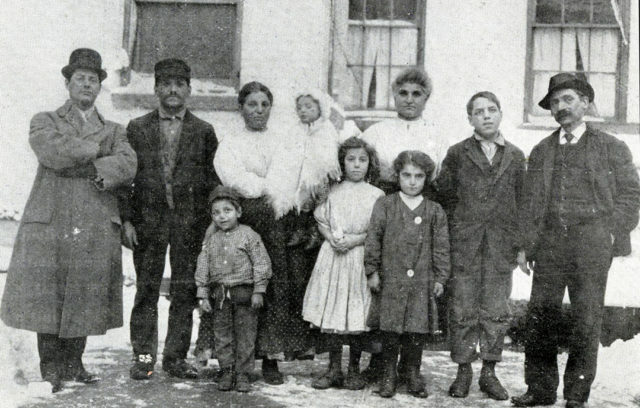 Because deportation could mean permanent exclusion from the United States, immigrants sometimes tried to keep open their option to return to the United States. The Saint Raphael Society assisted with repatriations, some of which seem to have been of people who could have been deported, but who preferred to avoid the legal consequences of deportation. When, after six years in the United States, the eight-member De Rocco family found themselves in the small upstate New York town of Utica without work or funds, they appealed for assistance with repatriation. A compatriot helped them return to New York City, the Saint Raphael Society secured funds from the Royal Consulate, and the De Rocco family sailed home to Italy, with the possibility of another attempt to migrate to the United States available to them. 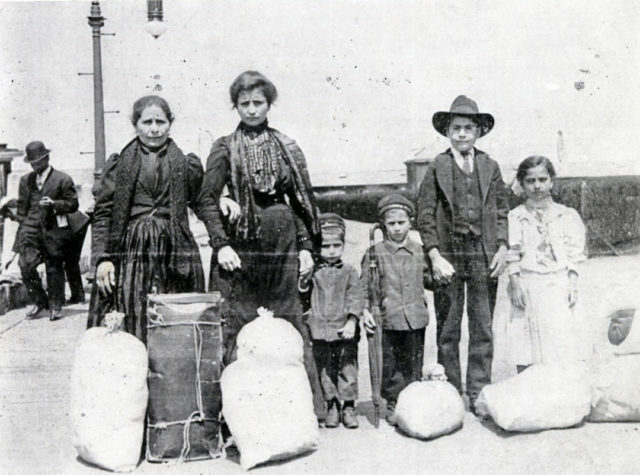 Children posed particular immigration issues, especially in the turn-of-the-century Italian immigrant community. Italians moved between Italy and other countries in search of work. Therefore, a migrant family with Italian-born parents could have children born in any number of other places. In an age in which vital statistics were not always well kept, spotty recordkeeping almost caused the deportation of five American citizens. In 1907, a mining disaster in Monongah, West Virginia, widowed Carolina Di Carlo and left her five young children fatherless. The mining company repatriated her and the children, but the next year she brought the children back to the United States. At Ellis Island, authorities noticed that one of the children seemed sick, leading them to scrutinize the whole family and to question their claim that the children were US-born. 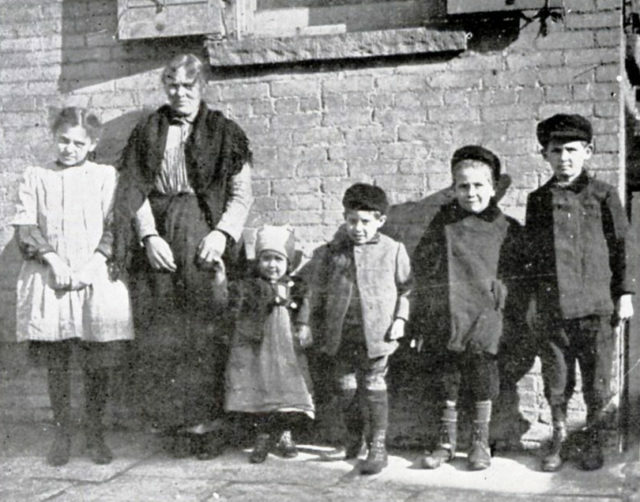 Agents from the Saint Raphael Society intervened and succeeded in getting the Di Carlo family released from Ellis Island and installed in the Society’s hospice at 8-10 Charlton Street in Greenwich Village, where the sick child could recover while the agents researched Carolina’s testimony about the children’s births. After much correspondence and the mailing of sworn testimony, the agents documented the births of three children and argued that timing alone suggested that the other two had to have also been born in the United States. Carolina took her children back to Monongah. Sociologist Joseph Tropea discovered the rest of her story. She opened a boarding house for the mining community. All of her children grew up and were educated in the area, got married, found work, and became part of the fabric of community life. Older children posed even more challenges because the United States routinely barred the entry of minors traveling alone. One of the Society’s favorite cases involved a twelve-year-old stowaway discovered March 28, 1910 aboard the S.S. Hamburg. 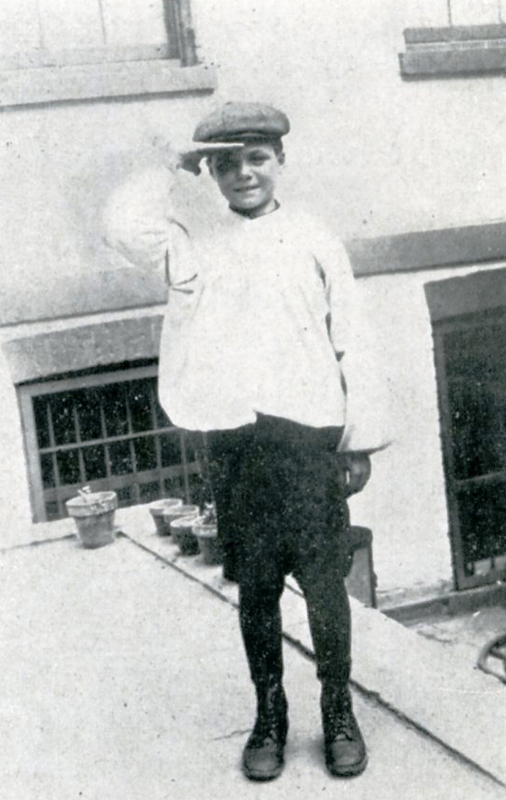 The lively boy claimed to be called Gennarino Pesce in Naples and Eddie Fish (the English translation of pesce) in the United States, where he was born. At eight months his ailing mother returned to Italy with him. Now he was back, with four cents in his pocket, hoping to live with his stepfather in Chicago or his aunt in Brooklyn. “Mia madre era assente”: “My mother says it’s ok.” Ellis Island inspectors could not find a stepfather, an aunt, or a birth certificate. The clock was ticking by the time the Saint Raphael Society became involved in the case, and, on May 5th, immigration authorities ordered the boy deported. An hour after sailing, a copy of the birth certificate arrived at the Society’s office. City clerks unfamiliar with Italian had registered Gennarino Pesce as Gennarina (the feminine form of his name) Pece. On June 21, Gennarino/Eddie sailed back into New York Harbor and breezed through his interview with immigration authorities. The Saint Raphael Society housed him for a few days while it used his birth-certificate information to locate his Brooklyn aunt, who welcomed him into her family. Stories such as Gennarino/Eddie’s remind us that declaring a person “illegal” and deportable is a matter of law, not stereotyping. The case of Carolina Salatino Rizzuti and her children offers another lesson on how the Saint Raphael Society assisted people facing deportation. Recently widowed, Mrs. Rizzuti arrived in New York Harbor on March 11, 1911, en route to relatives in Walla Walla, Washington. Immigration authorities detained her on Ellis Island, probably because a widow with five children seemed likely to become a public charge, an assumption they may have made because Mrs. Rizzuti was short twelve dollars for the cross-country train trip. The Saint Raphael Society helped the family get admitted to the United States, advanced Mrs. Rizzuti the money needed for their trip and got her and her children onboard the train to Walla Walla. In June, Mrs. Rizzuti wrote to let the Society’s director know her family had arrived safely, and to return the twelve dollars. CMS Collection #095 fills in the rest of the story. The Rizzutis joined a number of Italian-American families in Walla Walla, who specialized in growing Vidalia onions which they marketed through a growers’ association. These families created an economically and socially viable community. Mrs. Rizzuti may have needed some help for a few weeks, but she and her children contributed much in return. CMS wishes to thank Providence College student Colleen Keating, who translated from Italian into English the Saint Raphael Society’s records and stories regarding its care for immigrants.